Prepare sandwiches by spreading olive oil on one side of bread. Heat a large griddle or nonstick skillet to medium heat, add bread and place olive oil side down. 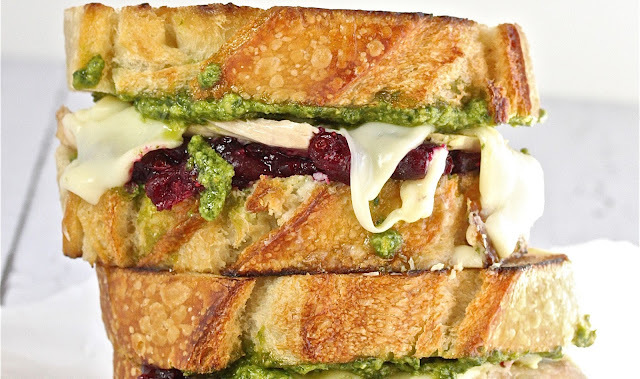 Add turkey slices and cranberry sauce to 4 slices and pesto and cheese to the other 4. Grill until bread is golden on the bottom, turkey is hot and cheese melted. Remove sandwiches and cut in half.